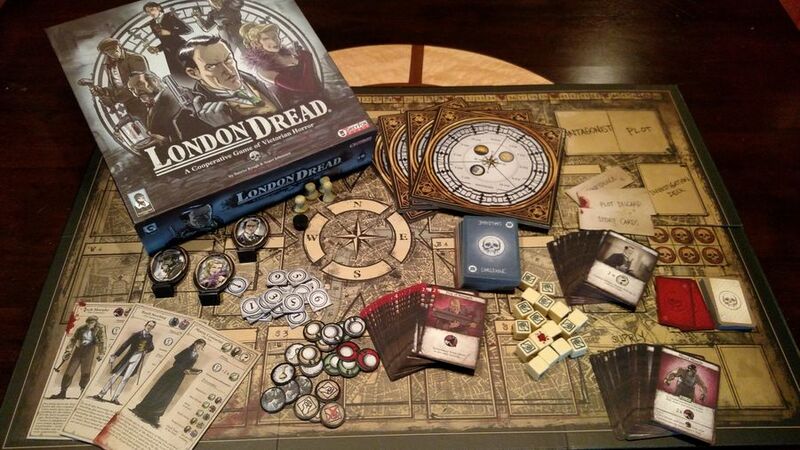 Content Notes: Retail Edition of London Dread plus London Dread Promo Pack. Includes core game plus promo pack published by Grey Fox Games. These promos were originally available at Essen 2016. 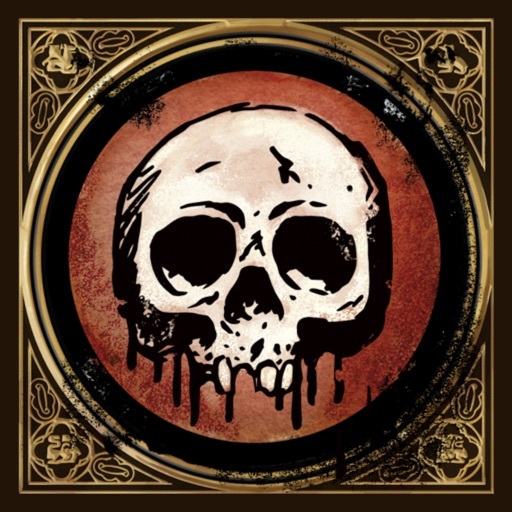 The pack consists of six additional character-specific item cards, giving players more ways to manage investigations during a game. It is the late 1890s. The British Empire stretches around the globe. London has grown to become the greatest city in the world. It is a time of innovation, prosperity and expansion. But every paradise has a snake. In the heart of the capital, something terrible is rising. You can hear it in the voice of the madman crying out his psychotic visions into the night. Feel it in the cold, relentless rain. Smell it in the noxious fumes that seep from a thousand grinding factories. Darkness is coming. There is no hiding. The only way out is through. You pray your companions have the minerals to follow you to the end. There’s no need to speak. You know the questions that grind inside their troubled minds. Will you live through the night? 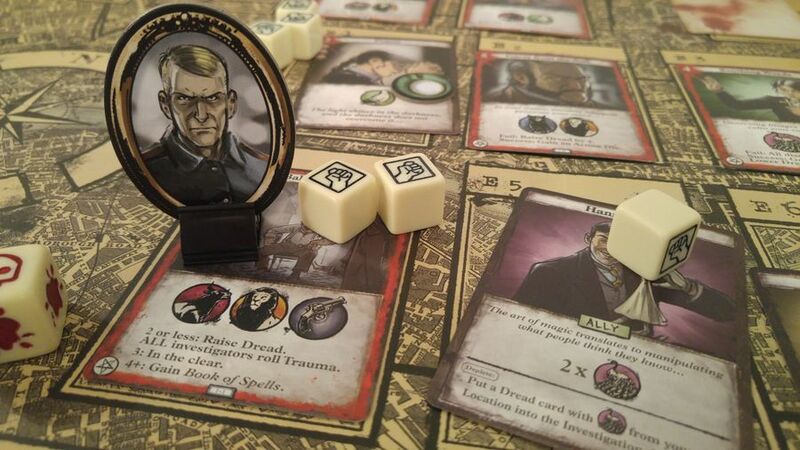 Will you survive the London Dread? 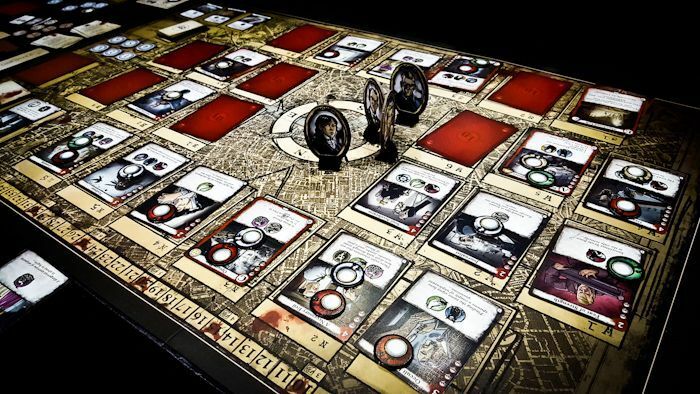 We're glad to bring you games like London Dread Board Game to buy online at TheGameSteward. 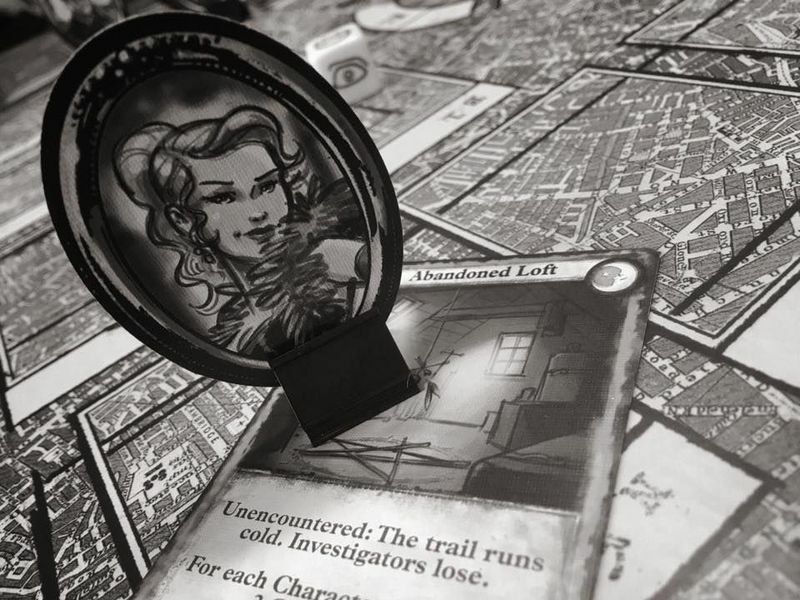 We will use a hefty percentage of every dollar you spend on London Dread towards backing fantastic new games on Kickstarter! 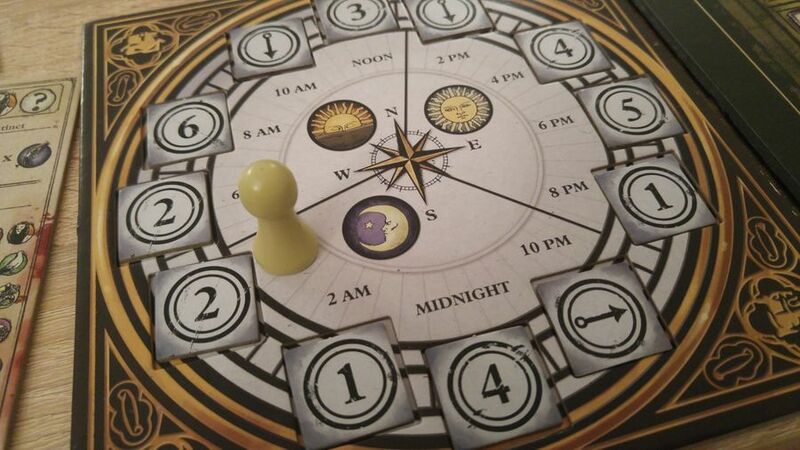 Just a reminder, if you have purchase questions on the London Dread game, how to buy online at The Game Steward or just need a game advice, please contact us at The Game Steward.